We have a great new sketch for you at Let's Get Sketchy today. 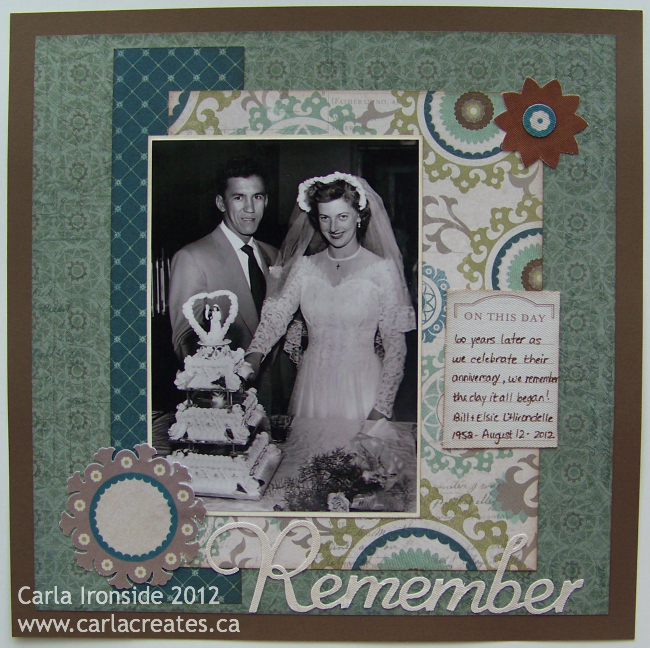 I used the beautiful new Avonlea collection from CTMH for my layout. 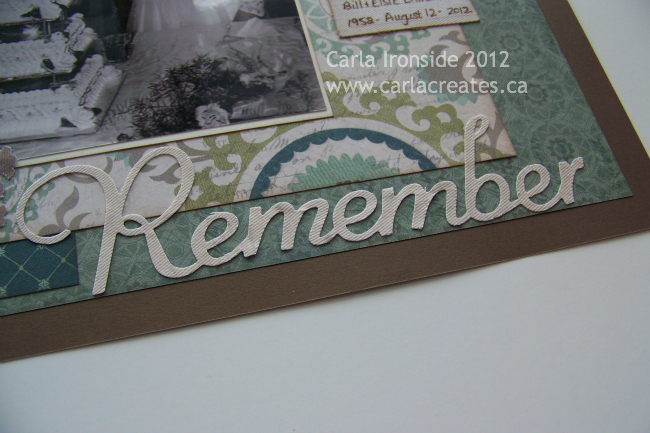 I thought this paper pack would be great for scrapbooking some heritage photos. This is a photo of my grandparents on their wedding day 60 years ago. Hope you'll join us this week & have some fun creating with Let's Get Sketchy - - this is a super versatile sketch to work with! We always have a great prize to give away and also enjoy picking our 'faves' each week!! this is so beautiful Carla, just perfect for this wonderful photo of your grandparents! You are so fortunate to have these photos in your family. what a beautiful photo Carla. I agree that your so lucky to have such a cherished memory. The paper is just perfect for this layout.